Comments: Light purple-pink, two-inch single flowers with a darker blotch open mid to late May. Forms a dense plant wider than high. 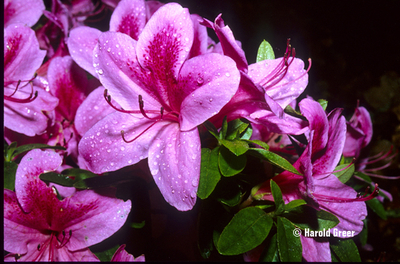 These large azaleas are from a block of old stock plants.